Having just joined GWM earlier this year, Stephanie Mushna is already helping us reach out nationally to those seeking solid financial planning. In February, she was tapped by Forbes columnist Kate Ashford to comment on helping people save for retirement. Check out this piece; it’s chock full of practical ideas. Besides advising individuals and families, Steve Starnes, MBA, CFP® also enjoys collaborating with other financial professionals to help families plan for and fund long-term service and support costs. 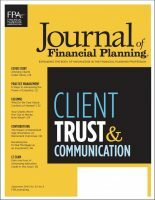 The Journal of Financial Planning recently published a pair of thought-provoking pieces by Steve Starnes and co-author Tom West. They’re written with the professional advisor community in mind, and we think you’ll find them of interest as well! Imagine a savings account where your deposits are tax-deductible, your dollars grow tax-free, and they can be withdrawn tax-free.